In total there were two distances – 1 km and 3 km. 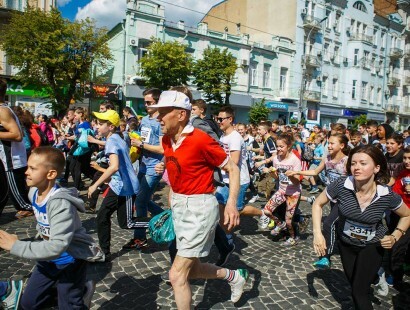 Nearly five thousand citizens of Vinnytsia took part in the action “Vinnitsa is running”. The central streets of the town turned into sports “arena”. “Vinnitsa is running” is the campaign, the aim of which is to draw people’s attention to sports. The massive race in the city center was the real fest both, by the number of participants, and the atmosphere of the event. 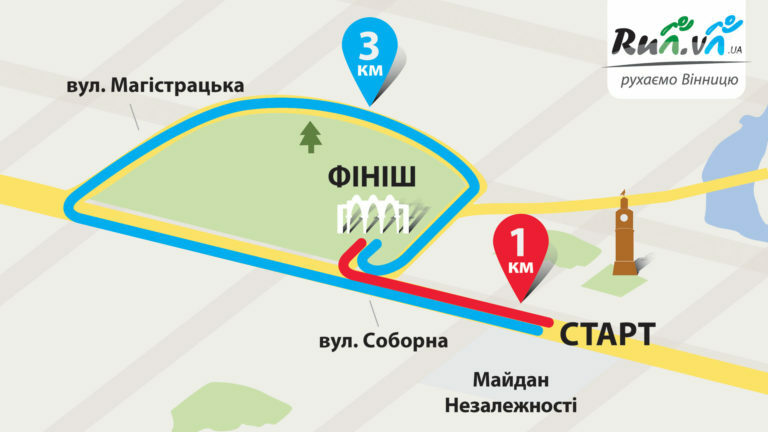 This year Vinnytsia runs already for the second time. 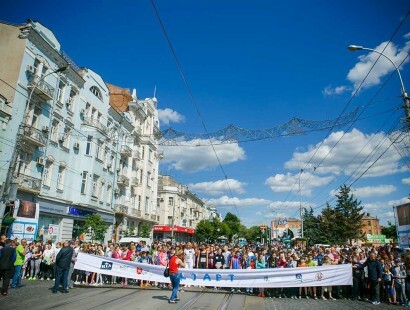 Let’s remind that slightly more than a year ago, RIA initiated public campaign for physical activity “We Move Vinnytsia”, within which street runnings are carried out. About five thousand people took part in the action. The action became still more colourful due to the flags, which the participants of the event brought with themselves. Children, adults and even elderly people took part in the run. 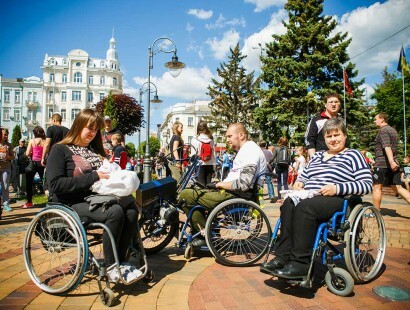 The public organization for physically disabled people “Harmony” also became the participant of the action “Vinnytsia runs” and several of them even overcame distance in 3 km! – This is a very big event. We organized it together with Vinnytsia city council, the Vinnytsia section of NOC and the regional sport commitee. Special thanks to the team of the City Council. They supported the idea at once, and made a huge contribution to the organization of the action. It is nice, that there is an understanding of the importance of sport in our city. Considerable activity was shown also by ordinary people – more than a hundred volunteers joined the organization, many of them helped to prepare, stated their own ideas on the organization of the sports festival. We see a real example of cooperation of the society, business and the power, that creates the public benefit, – said Oleg Gorobets, the managing director of the Media RIA Corporation.